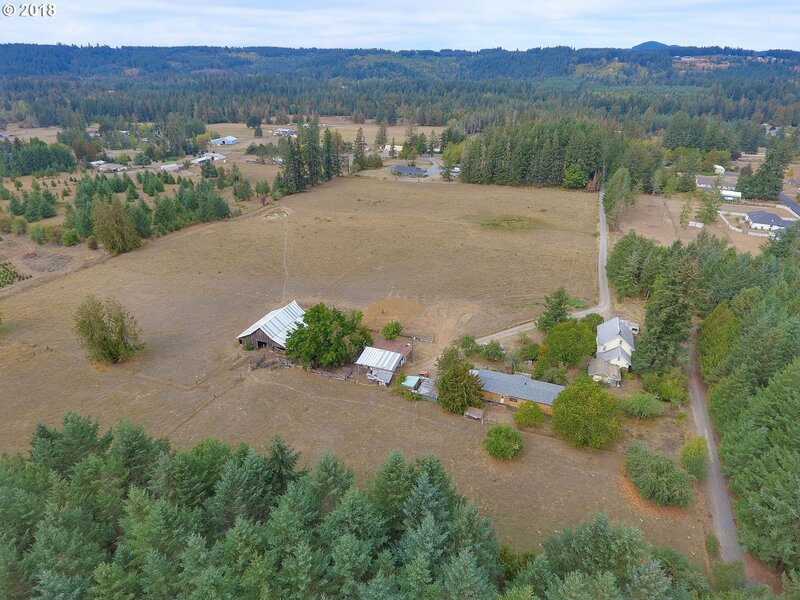 16+ acres of land w/access to Hwy 211 feat historic 1900 built home w/period wood interior trim, mobile home, 2 irrigation ponds, large barn for horses/cattle, corrals, spacious milking barn w/large concrete slab outside. Prev used as a dairy. Timber along driveway. Home needs restoration incl roof. Dwellings on the property predate 1993 & may allow for subdivision under Clack Code 407.10(B). Buyer to do due diligence on intended use.